How do you get gov to do the right thing? Shame them into it? 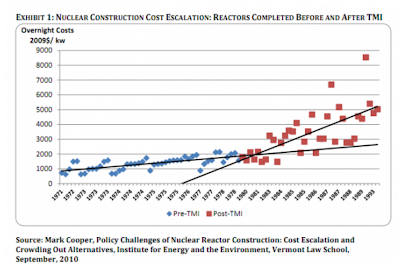 This research paper talks about how new safety requirements could add 50% to cost of NPP's. Boy Howdy, when I read this chart is says $2000 becomes $5000, in my little world, that is 250%, not the 50% stated. 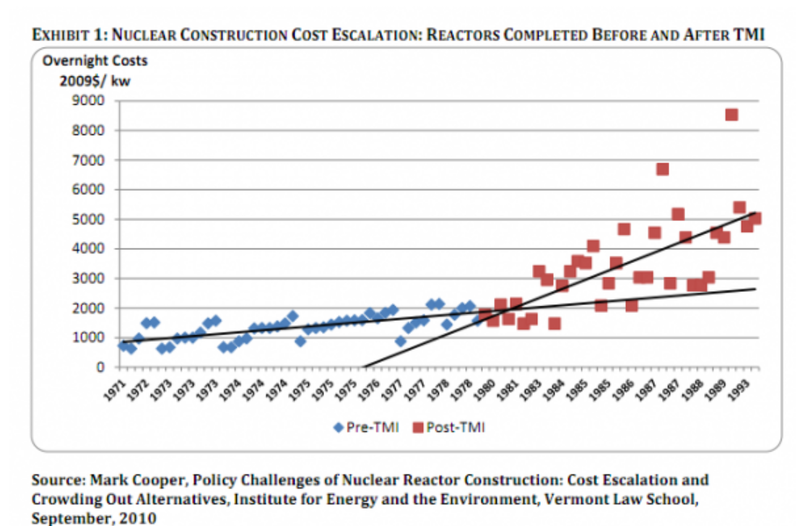 While cost of solar PV has fallen 50% in 2 years, we can now generate PV at 2.9 cents per KWH, No evacuation zone, no public insurance policy, no death and disease, no oversea wars.